Better than a handheld Garmin in price and function capabilities. Works great for navigating the woods of East Tennessee! No more worries about being “confused” (lost) in the mountains. Will not leave home without i. Best software out there, from backpacking trips, hunting to shed hunting. Maps out perfectly, shows private property. This has change my outdoor experience. Gaia is the best! I’m loving it! Best GPS app out there. Awesome features, easy and simple to use, and awesome backup so seamless transition from device to device. 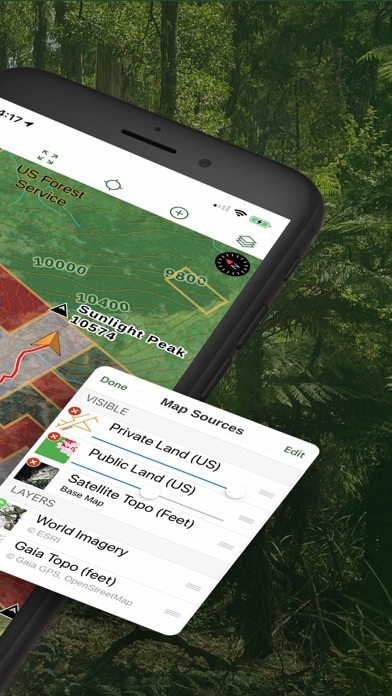 This is a wonderful app that had proven useful many times while doing land navigation in my forest management classes. I have completed a number of longer hikes from section hiking in Massachusetts and have done many higher hikes in NH and ME. This is great for keeping track of the hikes on one map, for getting back on trail if you lose it (esp in winter or fall), and for fining unmarked trails and old roads. Also useful if you need to bushwhack. Easy to use. I have the paid level although I don’t have much need of the extras offered. This is a very good app. What would make it great would be maps older than 1930. Would it be possible to upload maps from other domains? I am extremely happy with the quality of maps and that I can use the app everywhere without loss. Will become GREAT with Apple CarPlay support! This app is on the verge of becoming legendary in my book! Once they get Apple CarPlay support they will have achieved that level! The app itself is okay. But It’s a shame to be calling you App Gaia and be pro hunting. The last thing hikers want is to be on the same path as a hunter, so do animals. Killing animals for sports is the opposite of what our planet needs. Now I’m just going to ditch this app and stay with ViewRanger or Hiking project that work better. I use this everywhere... local parks, wilderness, even in Costa Rica. Always great, never glitches, and absolutely indidpensible. 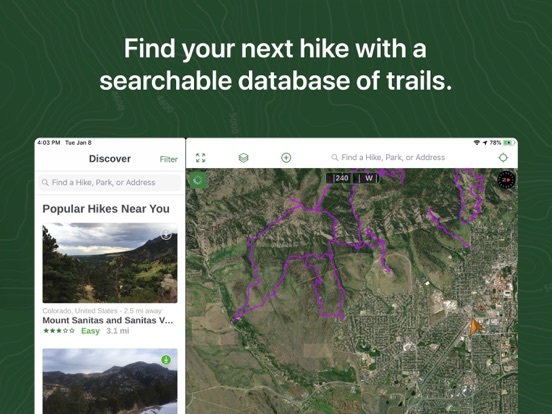 This is the app for hiking that I have always wanted to fine. I’m just using the free version and I find that it’s distance and altitude gain are wonderfully accurate, which is more than I can say for other apps. I also really appreciate the altitude profile and time/speed data. Best of all is the ability to name and save hiked routes. I feel very sorry for those people who cannot figure out how to use it as it doesn’t get easier than this. Not accurate what’s going on? Sitting in a chair and it’s counting as I’m walking??? I hiked 2.5 miles and rested for 10 min and now it says 3.5 and counting. Is this using gps or is it programmed to count miles based on time elapsed??? I don’t get it. Needs to be fixed ASAP!!! I’ve been a regular user hiking in the Pacific Northwest, but recently had a chance to use it on a hike in Costa Rica. It’s difficult to impossible to find topo maps anywhere in the country, there are very few actual trails which means a lot of bushwhacking, but I was pleasantly surprised to find that Gaia had topo maps in enough detail that we could navigate without getting lost. There were moments where we had no indication of direction or where we were other than from the GPS due to the dense jungle. Title says it all. I’ve had a subscription for a couple of years now and never regret it. The overlays are invaluable to planning and route finding/making. Seriously download it and pay for the extras. All the way worth it. Easy to import GPX files fine 14ers.com. Throw phone in airplane mode and then confident using Gaia to do my long hikes. 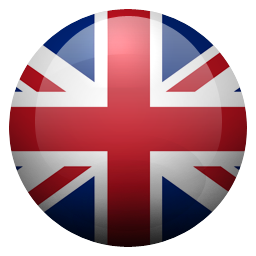 This is really a fantastic app! The only area of opportunity is making the names of the different maps easier to understand and differentiate. They have similar names and I have a hard time remembering which is which. Best GPS and mapping application. Can’t figure out how to use this for off road. It shows hiking. Premium talks about everything but off road. The App Store says it covers this but I guess it’s misleading. This app has become my go to GPS, even replacing my trusty Garmin. I can’t say enough about it. You can pre-download your maps, so no cell service is even needed, it just works off of satellites. You can alter the downloaded map’s file size too by determining how much you want to zoom in. You can back up/sync your trips as well. My buddies who have GPS’s are amazed by this app and have jumped on board. I use it for snowmobiling, fishing, backcountry alpine hikes, ATV trips, etc. I carry a portable USB battery charger too though I keep my phone in airplane mode the whole time in the backcountry to preserve battery (and yes, satellites and tracking still works, just make sure you enable it). Love this app! It has been the most useful hiking navigation aid for us whether in Dolly Sods in West Virginia or Joshua Tree California! Gaia is a great map app. I’m paying for a basic membership and see a minor improvement over the free version. But it is an improvement so I’m not complaining. It’s easy to understand there are 3 levels of membership but I found it difficult to understand exactly what features are unlocked with each membership. For example, overlays, the feature I most desired, is no available in the basic membership. If it’s affordable for you, I would advise you to purchase the “premium membership” to remove any limitations. I wish I could clearly display the features for each membership in this review. If the premium membership’s cost is a barrier for you. You should chat with Gaia support before you buy to know which membership is right for you before you spend money. I use this app when snowmobiling in the back country, it is extremely accurate and has kept my group from getting lost multiple times. I use it every ride. As a hiker, XC skier, and sea kayaker, I use a lot of maps and charts. I’ve taught Becoming an Outdoor Woman classes in map/compass/GPS for Fish and Wildlife Department. Gaia is my “Go To” app for navigation - but I still carry paper map/chart and compass. The ability to pick the best map source - and even layer them if you have premium subscription - then download only what I need, is outstanding. They have knowledgeable and patient support. And they balance bug fixes and features so there is something for everyone; not just premium members. We provide services to 100’s of hunters from printed maps to landowner tags. When one of our customers needs assistance staying on public hunting ground and off private we always suggest Gaia mapping as the best source to use for their smart phone mapping needs. We always recommend the app from Gaia maps. For me personally it has better functionality when you’re off grid or out of the service area than other apps. 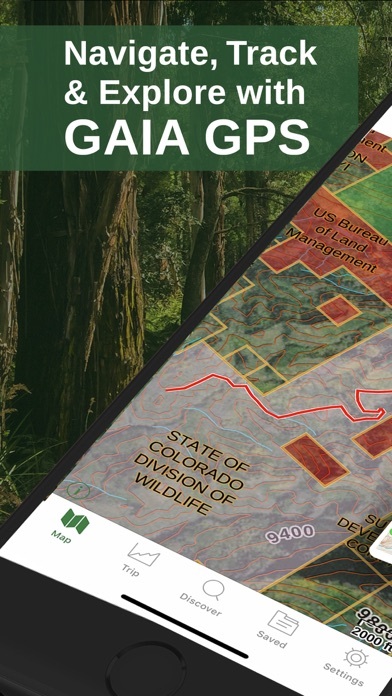 Works great for hunters all of my guides use Gaia, you can get the various layers showing property type boundaries (private, US Forest, BLM, Reservation, State,National Monument etc.) They offer big game unit maps and loads of other layers we’re almost to any occasion outdoors. 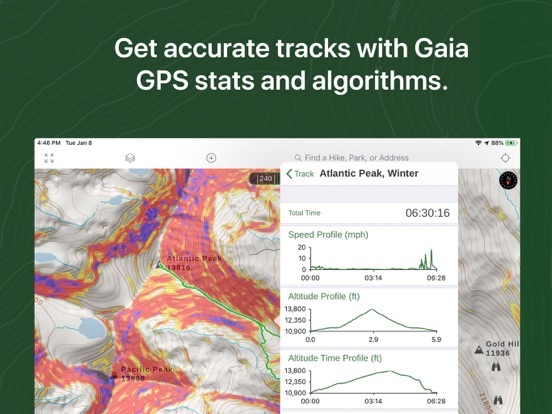 Gaia also provides tons of data and user friendly features for sportsman, cyclist, hikers and outdoor adventurist. Jimmy H.
This is our go to app for hiking maps. We love being able to download areas ahead of time when we are not in cell service. I have the premium version and I use it for everything from hiking trails to motor vehicle use. I am in Law Enforcement in a rural county and I have used it to get air medivac helicopters to the site of a crash on 4x4 trails. Thank you. New user but so far pretty impressed. Learning the interface on the iPhone - and understanding how to use the computer and iPhone for different tasks to power up all the features has taken some work. The Gaia articles you can access help with that. The Gaia navigation so far has been the best I’ve ever used and it’s put Garmin to shame. Even the premium service Gaia sells is half the price of a Garmin map chip. The way Gaia shares the data between platforms is far more seamless and easier to use - and manipulate - than the interface between my Garmin 64st and the basecamp software. For me, the best part is I can use Gaia without cell service. I’ve tested it: it works... (I think you need the basic membership for that) I still carry the Garmin for backup but haven’t needed it. I have way more to learn with this software but I’ll invest the time. I recommend starting with the free service and then upgrading to the basic membership. Great detail yet simple to use. You get so used to map programs that come with your phone but then you are stuck when you have no cell coverage. The fact that it is a GPS tracker is just what I wanted. The detail is great. This app is very reliable, and I’m excited to see what they have coming out next. I have noticed that since I upgraded the app to premium the gps bounces off random areas. For example it showed my location off by a mile. It isn’t a serious issue if I know the area well enough to crop the track. With that being said, if I was in a serious situation I wouldn’t be in the area the gps says I am. All in all, I love the app and will continue to recommend it to others. 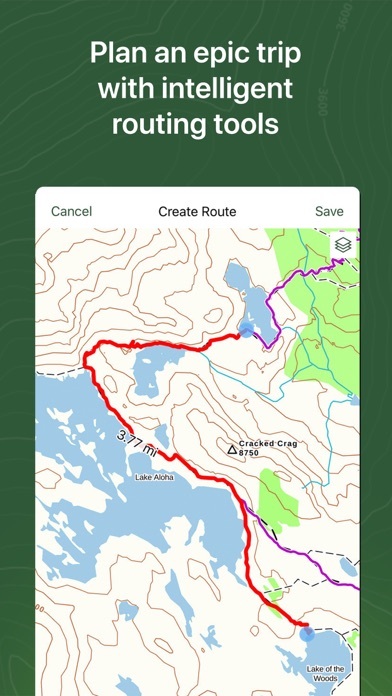 This is a great App for hiking with just a few bugs. One bug that I have encountered is linking a photo in my photo library with a waypoint. GAIA GPS brings up my photos for a specifiy waypoint but doesn’t use a photo that I tap on. I’d be fine paying $20/year for an app that was actually useful. Sure, you can download your gpx track into the app and view it on the map, but how useful is only that? Can you view the elevation profile? No. Can you see where you are on the elevation profile (so you can also easily determine miles to go)? Of course not, because there is no elevation profile! What’s the point of this app when you can just get the USGS topos and see where you are on them with many other free apps? App works great for me. I have used this app solely for backpacking. I don’t take my Garmin anymore. 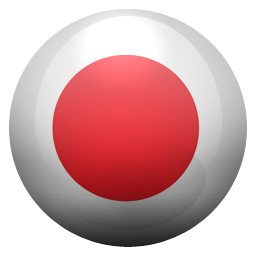 It is a very easy app to use. Detailed maps and accurate! It doesn’t have an electronic compass but I didn’t use that feature all that often. Love the way the app works. Would like to see it easier to start and stop a track. That would help a lot!! Just bought a premium subscription. After playing around on the app, I am left completely unimpressed. Can’t even download a regular topo map for a large area (less than the size of Phoenix) that I will be off-roading for a few days. The app only lets you download 100k tiles, which is next to nothing. Navigating the app is not even user-friendly. For way less topo maps is much better app, you just have to know how to use/read maps. This app is not worth $20, much less the $40 they charge for premium. I am going to ask for money back, especially since I have no intention of ever using it. When you try to get driving directions it wands you to your normal map. Why did I pay for that? I’m a premium member and use Gaia GPS primarily on iPad. I’m still hoping for 2 changes to be implemented, 1) in app map legends and 2) fix the iOS Split View multitasking support so it is actually useable. Would be 5 stars then. I absolutely love this app, and use it often. One big bug exists that I notified the developer about months ago still remains: when zooming around Lake Michigan disappears and Michigan and Canada are one land mass. Please fix this!! Otherwise, awesome app. Thanks! Use it on backcountry trails every time. Really helped us from getting lost on the Mojave trail. This supposedly is supposed to work without cell service but I’m doubting it. I did a short 3 mile hike today and tried to track using this app, it dropped the gps signal over a dozen times so I suspect the tracking is off. Glad I got this subscription as a gift and didn’t have to pay for it. Been using this app for several years. I pay for the annual subscription and it’s worth every penny. I use this app for trail running and backpacking mainly. I have and iPhone and when out in spotty cell service areas I turn my phone on airplane mode and this app works great as long as you have the maps downloaded earlier. Having the gps app on the phone gives you the modern touch screen and convince that the other dedicated devices (garmin) are still struggling to replicate. The phone is something I already have and the battery in my iPhone last a long time. I also like being able to use the app on my computer and plot/estimate plan hikes and runs. It will give you distance and elevation which are things I like to know before going out on long runs in areas I never been. I can’t say enough great things about this app, it’s great! You need to create a Gaia professional program so people that do this for a living can print large high resolution custom maps. What I can print off my screen is worthless even for a day trip. Don’t get me wrong, I love Gaia but I would pay more for a better computer software. Great for keeping track of hiking routes. Also helpful for marking locations such as property corners and determining the Lat-Long coordinates for those points. Perfect for hiking in US and Europe. Everywhere I go it seems the maps include every little road and trail with very accurate tracking of my position. Have been using gaia gps for about a week or so and really enjoy the program. There’s a learning curve . . . but it’s well worth the time spent. I’m actually planning day trips for both motorcycling & hiking for this spring & summer. Having the maps on my phone & available to use do what you want or need is huge! The ease of plotting waypoints & linking them with photos and notes is very helpful too. This app does a lot of things that google maps & Waze can not. Definitely looking forward to using this more after winter rolls by. Regardless of which pay option you choose Gaia is charging you to download free maps like OpenStreetMap. Not all maps are free of course and software maintenance and updates needs to be paid for. Gaia needs to better describe what they are charging for. Especially love the property ownership and mountain tops. I just wish the property ownership also provided the parcel number with the property owner information. Gaia has been with me on every hike and backpacking adventure. I wouldn’t go without it in the back country. I have been using Gaia gps since March 2015 and it has saved my life several times. I hike and ride in rugged backcountry terrain and it’s sometimes difficult to figure out how to get up and down cliffs. Gaia GPS has kept me from making some serious blunders! But equally I love it when I am traveling in foreign countries and unfamiliar cities. I use it in lieu of a map to wander large old cities. Also rely on it when kayaking in marshy areas...... so many applications for outdoor enthusiasts. It’s so perfect to being able to find the best location. This app is very good These are the things I like most about it: 1. It is extremely stable. This is important in an activity tracking app. When you’re hiking in the winter and the windchill is -40 you don’t want to have to take your hands out to check on the app to see if it is still recording. With Gaia I know it’s still tracking. It has never crashed on me. I have never lost a recording in about 500 miles of hiking. 2. It is extremely energy efficient. I’ve used a lot of tracking apps. Some will drain your battery too quickly. Gaia has always amazed me. I’ve used it to track 5 hours straight and my phone battery only drops by a few percentage points. Of course if you are constantly checking the map then it will drain faster but that is just the display, out of their control. When the screen is locked it is so efficient it’s amazing. Use airplane mode and offline maps for the best battery life. GPS is passive and works in airplane mode. 3. So many map sources. When hiking in the mountains it is very useful to have different maps at your disposal such as satellite maps and topo or contour maps from multiple sources as different sources sometimes have different trails. Gaia provides so many maps, and they are downloadable for offline use. 4. Very good meaningful updates with release notes! Gaia constantly improves and takes advantage of new frameworks and hardware when apple releases them. Continuous improvements are important with software on mobile platforms to maintain stability and Gaia is always on their game. A bug: For years the elevation graph for hikes uphill, for example the base of the mountain is 1200 feet and the summit is 4100 feet, the elevation graph does not work. Sometimes it shows no elevation incline at all, sometimes half of it is filled in, sometimes most of it is filled in. I always create a separate track for my hikes downhill and the downhill hikes always show a perfect elevation profile for the downhill hike. This is a strange bug and I don’t know how it has existed for so many years without being fixed. The elevation graph for these uphill hikes look just fine on the Gaia website. It is only the app that has the problem. Gaia is aware of it, I have emailed them about it and they responded. I don’t think it’ll get fixed until they do their next major redesign (they didn’t say that, it is just my feeling). Another bug: You can configure the app to verbally announce distance every .25 miles, .5 miles, or every mile. The app often repeats the notification multiple times. It’ll say “1.25 miles” and then 20 seconds later it might say “1.25 miles” again. Sometimes 3 or 4 times. Something that I think can be better: Speed and elevation graphs that can be interacted with/manipulated. Like a way pinch to zoom in on the graphs, swiping to scrub forward and backward in time, and maybe a tap and hold gesture on the data line to show the ‘Y’ value at position ‘X’ as you drag your finger along the line so you can really analyze your data later. There are other apps that do this well such as segment effort analysis on Strava and the graphs on the app called “Trails”. I’d love to see Gaia do this. I have the privilege of using this full version on the search and rescue team I am on, and it is fantastic. We can download the entire state and have access to it at all times. We can track our individual paths and send it to IC and they can get a very accurate idea of what has been searched. You can have countless overlays including different search patterns. This is an awesome tool and it works great for the recreational user too, I always look at the topo map of the area I go to hike/climb/camp first. Would highly recommend. I would love it more if!! I would like it, if the app could be use with apple car play in for my car head unit. For easy use in car in motion. Thanks great app! For hiking, off-roaring, exploring. Well worth the money. Love this app to find trails and to track my own trails. Love the photo option that takes a picture and marks it on the exact location of the trail. Love, love, love this app. A must for Jeepers and Geocachers. The map layers make Gaia an invaluable tool during Backcountry adventures and I love seeing all my saved routes on the map! I’ve used this app for several trips now though so far only for vehicle navigation and track recording and I think it’s a great supplemental app for navigation. The variety of map overlays is impressive and I’ve found several I feel are quite useful. It’s so much easier with Gaia to build a route and plan a trip than it is with Google but when it comes to straight up getting directions to or detailed information about an area google is supreme. This is why I say it’s a great supplement. I use google to navigate me with turn by turn directions to the start of my Gaia route and then use Gaia to guide me and record my track. App is such a let down that this is the first review I have ever done. First off you search places that are on every other app and they don’t come up. Then once you find them all the trails around them are not there. I was looking in Ocatillo Wells and Glamis north. Good luck hope this helps. Only plus is there is a lot of buttons and instructions that you can waste an hour on if you just want to get very angry. I used to be a paid subscriber for the other big maps app, which is a great app, but has slightly more basic functionality. This year I decided to try Gaia and I purchased the higher level subscription. It has exceeded all expectations. The features, interface, and user friendliness are amazing. I will continue to use Gaia for all my Jeep, backpacking and camping needs! If you backpack, don’t leave home without it! Simply stated, the absolutely best backpacking mapping app of all. The BEST Offline Mapping App on the Market! I have been using this app (paired with a backup paper map and compass) for many years as my primary navigation tool. I hike, hunt, gather, and adventure occasionally on trail but primarily off trail, in places where there is little to no cell service for miles. I always make sure that I bring extra battery packs & charging cords and have a paper back up, just in case. For the record: This Gaia GPS app has saved so much time, effort, confusion, and paper! My favorite features,bin no particular order are; the layering capabilities, the MANY excellent map data sets (thanks CalTopo! ), the ability to share your Geolocated custom data (tracks/waypoints/attached photos/etc.) with other people via email, text, and AirDrop, among others. I appreciate the great customer support, the free year of the Pro version as a trial for first responders, and most importantly - the ease of use with the User Interface. 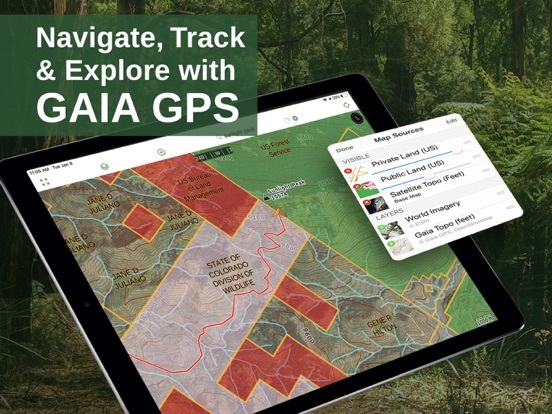 • I HIGHLY recommend the Pro Version of Gaia GPS to the many “woods enthusiasts,” first responders, LEOs, USFS folks, random people that I meet on the trail, the search dog training community, all the search & rescue folks I interact with, and I recommend it most importantly to you! the person who has taken the time to read this review. I will say that: •YES it is worth the cost •YES it is very accurate (often more so than a handheld GPS) •NO it will not eat your battery too fast, and •YES you can navigate well while the phone is on Airplane Mode __BOTTOM_LINE__ If you need reliable, offline maps, buy this App. One of the best gps apps. Needs a compass only towards waypoints and quick gps coordinate conversion on the fly between formats. Also better Apple Watch functionality. Recently downloaded GAIA and paid for a premium membership. The App is well designed and the amount of map data available is incredible. I went through the online tutorials which were clear and provided a quick education. Utilized the App during a recent hunting trip In a tricky area due to property boundaries. The GAIA app was perfect and showed our recorded tracks in real time to keep us out of federal lands. I am hooked on GAIA and it sure does beat some of the similar competitors.. I never write reviews for anything, but I love this app so much I went out of my way to write this one. It does everything I want out of a GPS mountaineering app. I used to use a Garmin dedicated handheld GPS when I was out in the woods, but now I just bring my phone with this app (along with a map and a compass). Great job, keep it up. I really like this app for hunting and hiking! I like the option to use it off-line, and it also works on my Apple Watch. I would give it five stars, but the Apple Watch app should be developed a little more. I’ve been using Gaia for a couple of years now, both professionally and for recreation and as long as I download the correct maps it works great. In other words, the only problems I have had are my fault. I have a small GPS enabled tablet that I use it on and even with the larger screen the maps look great. I also find the ability to download my tracks and points as .kmz files very useful. In addition to using this app on hikes in my local area and abroad internationally ( 2X Camino walks/ England’s C2C ), I have used it on several volunteer projects including test site mapping locations for salmon restoration and water quality testing in WA. state. The app never fails, is consistently accurate, and new features added by the development team continue to make this my favorite hiking app. I love that it has all the hiking trails already and it tracks my location perfectly. If I had one complaint, its that it doesn't do exercise tracking with apple watch. This is just a great all around app. I volunteer for a search and rescue organization and I run this app as well as my garmin when I go on searches. I contacted the support team a couple times inquiring on certain things and they responded almost immediately. I love being able to download sections of the map, because a lot of times the places I go have little to no service. It’s nice to be able to overlay the maps to get exactly what I want (satellite over a topo). Can’t say enough about the app and the staff. Fantastic app. Ability to download maps for hikes that are off the grid is really great. I’ve been using GAIA to map my rides for a couple of years now. I use it to note where I’ve been, and to mark places I’d like to go, rather than mapping out routes beforehand. I like the detail available in the layers of maps available, (just purchased membership so as to be able to download and utilize Canada backroads layer) the ability to run the app while phone is in airplane mode, and the relatively low power use in that mode. I’ve ridden across the country west to east and back again, and from south to north, and largely off-road. And have records of each day’s ride. I use it to map mountain bike rides and bicycle commutes, and keep multiple parent-folders current with each ride. I also like being able to share a link to my rides with family and friends. I know there are features I don’t use, but feel confident that their use would be pretty intuitive given the ease of use I experience with the features I do use. This is my first “detailed” online review ever, for any product. The closest I’ve come is giving something a few stars, but never in detail. I’ve always been the end user of reviews, but this app is well worth the time to share. I’m a bit of a map fanboy. I’ve always loved them and currently have 7 map apps installed on my phone. I often wonder why, when I always end up using Gaia GPS. The interface takes a little bit of time to get used to, but the power of the tool is well worth it. I’m continuously finding new features of the app and I love all the different options. I haven’t found any other application that can do something Gaia can’t. I can’t recommend it enough, you will not be disappointed! THE BEST recreational mapping app!!! This is BY FAR the best app if you like hiking, walking or driving, no matter your signal strength. Fantastic array of maps, easy and reliable offline downloads of those maps, easy tracking of routes that map your altitude, speed, everything! Include a great folder system for saved maps/routes/points and top it off with social sharing and you’ve got a whirlwind of an app. 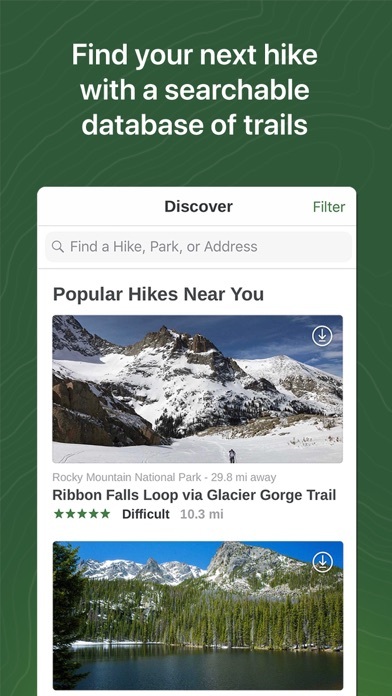 Way better than AllTrails and the 20 other Hiking apps (all of which I have put to the test). P.S. they also include a super helpful Watch app showing data, route controls and even the map with your live location which you can scroll on! This app Saves your bacon! I’ve been using Gaia for around 2 years, and it’s become my right hand man on backcountry outings. This app while being used as a GPS enabled device allows me to navigate efficiently and quickly in the mountains with a high degree of certainty. It’s easy to use and I love the tracking feature for not only backcountry trips, but also just running around town. I was living in Spain this summer and Gaia worked fantastically all over Europe. During a spontaneous 23 mile run/accidental sufferfest Gaia got me out of a pickle in the Chamonix area because I was able to use a “trail” that was totally unused but showed up. This app is fantastic, and super customizable. I love it. I've been collecting track data with Garmin GPS units since 2000. Until a few years ago I was reluctant to use my iPhone for this purpose, but then tried the Gaia GPS app. Although pricy, the app is great, and makes ab great alternative for track acquisition and storage. Tracks can be easily exported to Garmin mapping software. 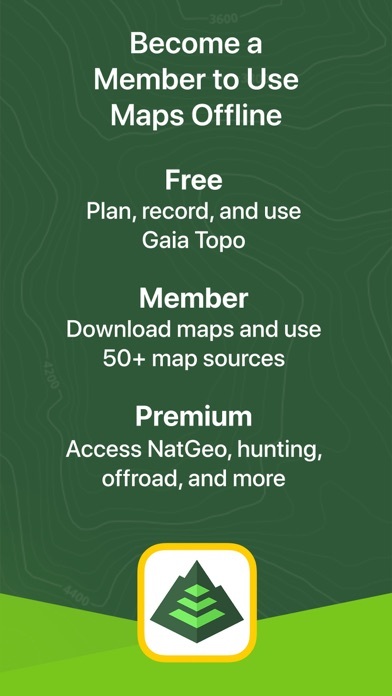 All base maps can be downloaded ahead of time when traveling in areas of low or no cell signal allowing the use of the Gaia app in these onditions. The maps on the phone are gorgeous and superior to those on my Garmin eTrex. I still use both, but not how much longer? The Gaia app is an excellent product, well worth the price. No need for a Garmin! This app is amazing for riding snowmobile and giving you statistics on how long you were riding, how long you were stopped, mapping your trails, and making waypoints so you can remember those sweet hill climb spots. Especially offline/no service!!! If you aren't happy with the sattilite imagery they have a hidden one under premium maps by ESRI which is amazing in rural Alaska! My only issue with the app as it stands right now is that on the iPhone X, you can't crop a track as the save button is under the iPhones top status bar, so then you have to force quit the app, which they have an update coming out soon for. This app is an amazing hiking gps. Not only does it have dotted lines that follow pretty much every known hike that I have been on around San Diego, Yosemite, Zion, Joshua Tree, Kaua‘i, Seattle, Columbia River Gorge, Grand Canyon, Bryce Canyon, etc. I have also used it for planning out and following my tracks on many hikes that have no trail, such as waterfalls that nobody knows about that I find on google earth then plot waypoints on Gaia. I have had the itch to buy a dedicated handheld gps multiple times, but every time after doing some research, I find that they don’t compare to Gaia. I have used this app as my main hiking GPS for 3 years, and it has never let me down. I’ve tried them all on my iPad and iPhone. GAIA GPS has the best maps, map updates/transfers/overlays, the fastest speed, the best features, design, usability, and is constantly improved - further distancing its lead on the competition. It’s never crashed, is super easy to use and I’ve overspent enough money on other gps apps to know GAIA is the best (and as a bonus kinda cheap too). My wife and I use it for jeeping. I wish we could also explore the single tracks with GAIA but our jeep is her wheelchair. GAIA is my insurance to helping her enjoy the outdoors. Thank you GAIA. I got a bargain. I would have paid 10x easily. It takes a little getting used to but Gaia has become indispensable to me. Making sure I download maps before I leave reception and taking an extra battery (though it’s very conservative on its use I find) I can hike in confidence. Even on supposedly well-marked trails I use it to avoid the ‘did we just miss a turn or what’ problem. Good for tracking progress in terms of distance and altitude gained. Used extensively in back country for peace of mind to get back to original starting point. For a few dollars it’s worth every penny. Been using various Topo map apps for years. This is the first one that lets me plot tracks and such directly to the maps. It’s also great that it has so many overlay options including Nat Geo. Well thought out and easy enough to use once you figure out all the icons. Only thing I’d like to see added would be an option to print out your tracks/map sections. That way I could have a backup in case my iPad, phone, etc decided to take a dump. I mean after all, this app is designed for outdoors enthusiasts and sometimes electronics suffer from the less than ideal conditions we subject our gear to. This app has been a staple to our off roading trips. I founded Oc Overland a little less than a year ago and our team has used it ever since. For the price it has been amazing, some people can’t afford to use a dedicated gps system and this is an awesome alternatives. You are able to download maps, track/create routes, waypoints and use specific icons to label everything correctly. There are a few different layers to help plan your trip and see different roads. Everything is precise and you can pinpoint exact locations you need. I highly recommend. Gaia GPS is so good I bought an iPad solely for it! I’ve tried a lot of GPS apps for off-road navigation and none of them impressed me. I really wanted one for detailed topo, public lands, and MVUM maps (where no cell service is available of course). I bought an iPad 9.7 for the sole purpose of using Gaia GPS Premium. I’ve downloaded all of the lower 48 states at max zoom with those three layers and it’s so nice to see all of the details of any area with airplane mode enabled. The app is well laid out, has all the options you’d want, and is a real pleasure to use on iOS. I absolutely love it. For many years I used Gaia for backpacking but also had to purchase onX for hunting. Recently, with all of the hunting related overlays offered, I moved all of my old onX waypoints to Gaia. Gaia offers access to higher quality maps, more comprehensive information organization, faster response, and all of the required public/private overlays. In addition it is still without equal for backpacking. 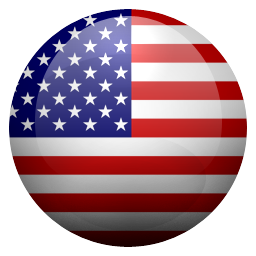 A Gaia Premium membership is required for hunting but it provides national information versus a single state’s information for a price comparable to an onX license. Awesome, but saying maps offline on watch? This is an amazing app and super accurate and helpful so far for planning and tracking my Adirondack high peaks hikes. My only issue it that even though I saved my areas for offline use, the Apple watch mini map (series 3) would say that the map is not available offline- even though it was working on my phone. Hopefully this is just user error or a result of me using the free trial subscription, but otherwise super impressed with this app and definitely considering buying the full year subscription once my free trial is up! Really great job on this app. I have been using Gaia GPS for almost 4 years now at the time of this writing. I have tried every paid GPS app, and still none have outperformed Gaia GPS in any aspect. Powerful features for planning and organizing as well as navigating, such as access to many different types of high quality maps, automated route drawing, automatic route map area downloads, and of course route and waypoint importing, exporting, and organization within folders. This is by far, the best mapping app for off-road exploration. Got this app the night before big hike with my friends, got it set up with login and used it throughout our entire hike. Except for on small freeze at the top of very high mountain it did not fail me at all! I am very satisfied with this app and highly recommend it to all hikers! It works beautifully and accurately (I checked) and has useful needed info, including altitude height, names of mountains on trail, time of walking and stopping, time elapsed and other nice info. Get it, esp. that its free. You won’t regret it. I use this on an iPhone 7 for backpacking. It works flawlessly. Easily handles 3-day, 2-night trips without a recharge of the iPhone battery (mostly in Airplane mode). I’ve had this app for years (using it with prior iPhones) and the developer support and continued improvements are unparalleled. Best app I’ve ever purchased for my iPhone, by far. In my backpack this app replaced a Garmin GPSmap 60csx handheld unit. I am not affiliated with the developer or any of its employees, and I paid full price for the app. 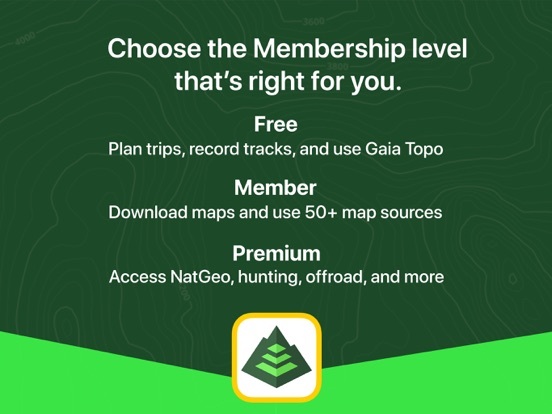 I purchased the premium membership because it showed that it included the nat geo trail maps which I really wanted for a few trips I was planning in the Adirondack high peaks. I used the link they provide for the premium membership maps and it showed these were included so I paid the $40 for it then went to download them and not only does it not include them but basically doesn’t include any at all useful maps of the area, and that aren’t already free and easy to find online. It’s really disappointing that they lie about the features to get you to buy a non refundable membership that costs 4x as much as all the paper maps for the area that I needed. After moving from a big yard to a townhouse with hardly any yard helped me allow my dog who is family, become obese! I started to walk him and put him on a vet diet. I was told about this app through a friend and it is the greatest app. Not only for my dog walks, now for hikes and honestly numerous other outdoor activities, even work you get such detailed info, picture options, title, date, time, height! Etc.. Get it! You won’t be disappointed! Unless you always are! I gave this app a live test on a 4 day backpacking trip off the grid. Subscribed to the premium membership so i could download maps offline. It was fast and smooth even on my old iPhone 6, which has otherwise slowed to a crawl since iOS 11 was released. Only crashed once in 4 days. Ideally it wouldn't crash at all but given the age of my phone I couldn't complain. Looking forward to this new update. It looks big! 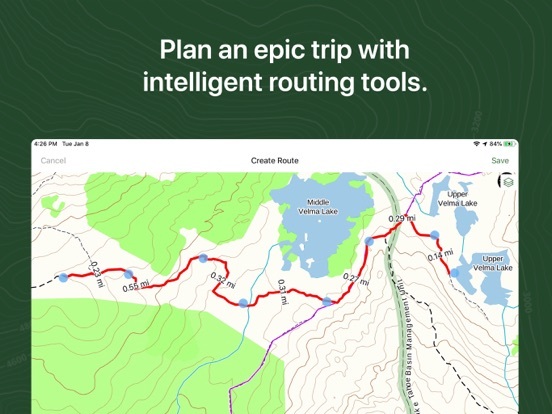 No matter the outdoor activities this mapping app makes researching and finding the location once you hit the road or trail easy and less stressful. If you’re into documenting your trips this is also top notch. Using this mostly nowhere near the internet the tools available to use off line are great. I think another thing not talked about much is the simplicity to import data from other sources. I don’t often need/want GPS data, so buying a GPS device seemed like a spendy waste of money and another thing to carry around and keep charged. I think it is way cool to have GPS capability in something I already carry around most days. Gaia GPS does what I need, recording routes traveled, mostly. The maps are small on my iPhone SE, but they are larger on an iPad. And I have made use of the ability to export routes for viewing on Google Earth. Chris Kracht (I hope you don’t mind me using your name Chris) helped me get your incredible app on a different device with a different platform. The last few years, after dealing with some health issues, I have rediscovered the joys of the outdoors. And your app has helped me make the most of every adventure. Chris helped me promptly and efficiently and did it with the heart of a fellow outdoorsman. Thank you for your professionalism. 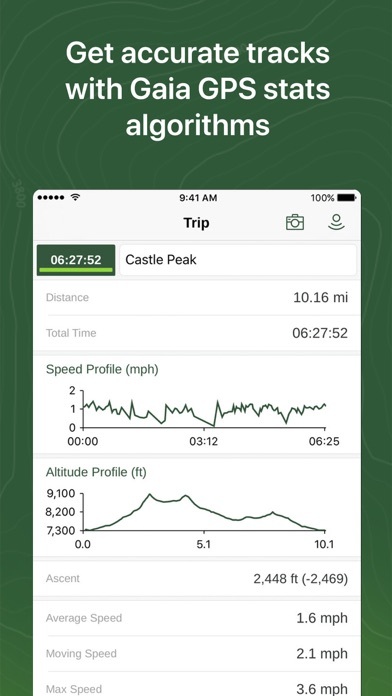 Been using this app on 14er hikes in Colorado. Not 100% accurate. Some of the elevations and peak summit locations aren’t accurate. Tested it multiple times against Garmin topo/location devices and this app is more accurate. I keep an extra battery pack with me on hikes but even in -5 degree winter temps over 16-20 hour hikes, this app doesn’t completely drain my phone’s battery with it constantly running in the background while taking video and pictures. Totally worth the $$!